Our insight and practical solution from wide variety of company and industries. GIZ has over 50 years of experience in a wide variety of areas, including economic development and employment, energy and the environment, and peace and security. The diverse expertise of our federal enterprise is in demand around the globe, with the German Government, European Union institutions, the United Nations, the private sector and governments of other countries all benefiting from their services. 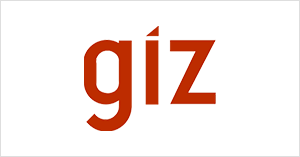 GIZ work with businesses, civil society actors and research institutions, fostering successful interaction between development policy and other policy fields and areas of activity. The German Federal Ministry for Economic Cooperation and Development (BMZ) is the main commissioning party. Since 18 years of establishment, Cybernetics Pvt Ltd. has been working with many INGOs. Among many INGOs, GIZ is one of them. We have well past history, working with GIZ. The recent work with GIZ is to install delivery and supply internet access in different health facility in different districts. For this purpose, we carry out internet assessment in different districts.